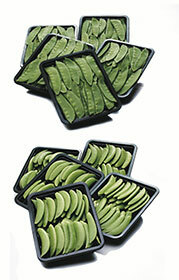 GLOBAL GAP and BRC certified Sugar Snap Peas and Mangetout (Snow Peas) of the best quality. Sugar Snap Peas and Mangetout (Snow Peas) from Guatemala. Our Guatemalan Mangetout (Snow Peas) and Sugar Snap Peas are soft but crispy with thin and translucent curve- less pods, containing small tender seeds. We harvest the produce when seeds are immature and the pods are tender and hydrated enough to offer a bright green color guaranteeing a long shelf life and complete satisfaction from the end consumer. Our Mangetout (Snow Peas) and Sugar Snap Peas can be packed either loose or top and tail pre-packed in a variety of presentations using punnets or micro perforated bags, all stored in specially designed strong carton boxes. 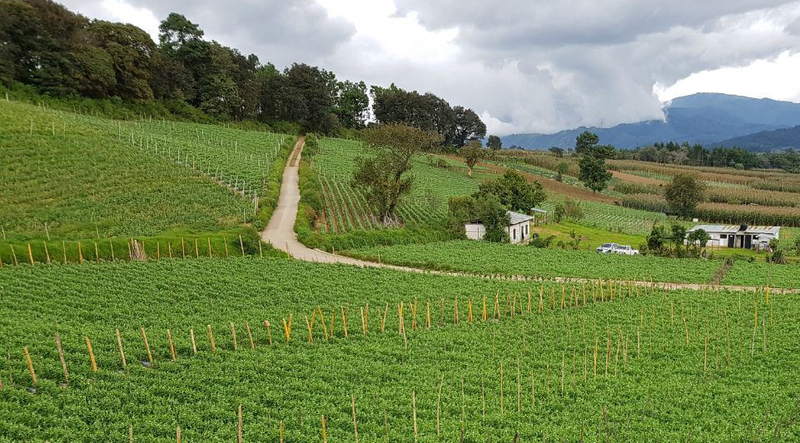 When it comes to Mangetout and Sugar Snap Peas, Guatemala is one of the well recognized leaders regarding quality and we at Asuncion Export, are strongly commited with food safety and great visual and aesthetics quality.